Our art-deco aparthotel opened in April 2016 below the Fisherman's Bastion - Castle District Budapest. Located a 6-minute walk from the Chain Bridge in a quiet street which is part of UNESCO cultural world heritage. All major sights of Buda and Pest City Center are within walking distance. Situated directly below the Buda Castle, the Fishermans Bastion can be reached by a stone staircase in 3 minutes. Nearby is the Matthias Church, the Royal Palace, the National Gallery, the Historical Museum, the Hospital in the Rock, an underground Labyrinth and countless shops, cafés and restaurants. Neraby there is a children's playground and a convenience store is just around the corner. 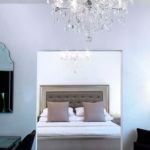 ​Each air-conditioned suite includes a king size bed, flat -screen TV, fully equipped kitchen with dining area and a possibility of one or two sofa beds for extra guests. There is a shower in the bathroom along with free toiletries. A bottle of mineral water, a cup of coffee and a continental breakfast are compliments of Milford Suites. Free Wi-Fi access is available throughout the hotel and a parking garage is available with advance reservation for 20 euro per day. 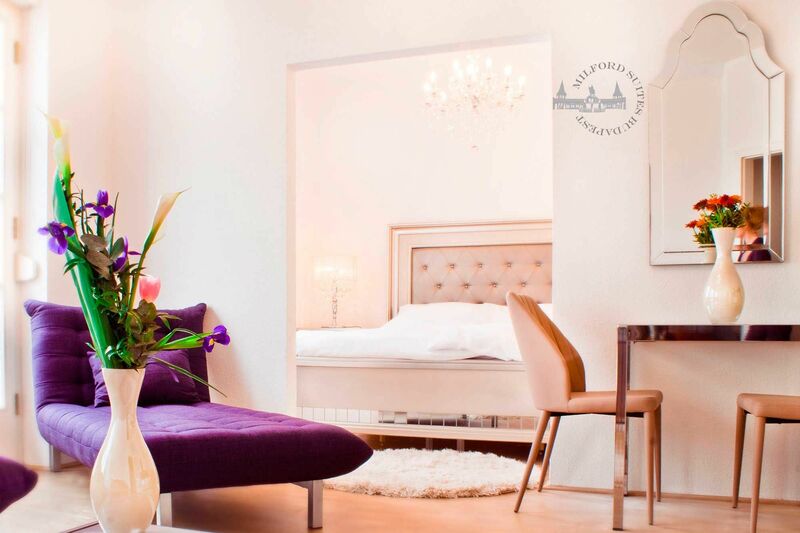 Our crystal chandeliers, Hungarian Zsolnay porcelain and Szasz Endre artwork will all make your Budapest stay special! Limited number of parking place is available, reservation needed in advance. 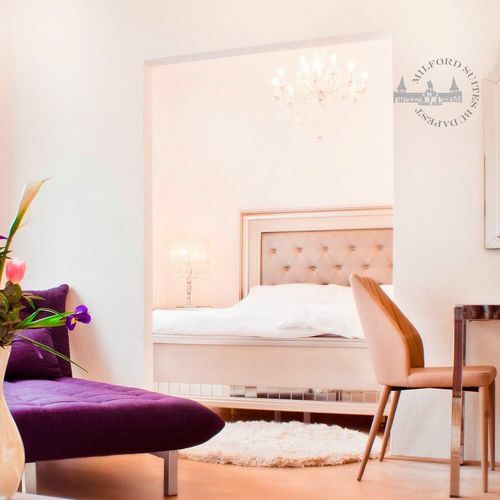 The rating of Milford Suites Hotel Budapest is 9.9 from the maximum of 10, based on 2 real guest reviews. "Jó elhelyezkedés, kedves személyzet, jó ár-érték arány." Nagyon örülünk, hogy elégedett volt a Milford Suites Budapest munkatársainak munkájával, és köszönjük a visszajelzést. Szeretettel várjuk Önöket legközelebb is! "Csendes, tiszta környezet, kedves, közvetlen személyzet." Köszönjük szépen a visszajelzést, szeretettel várjuk Önöket legközelebb is!